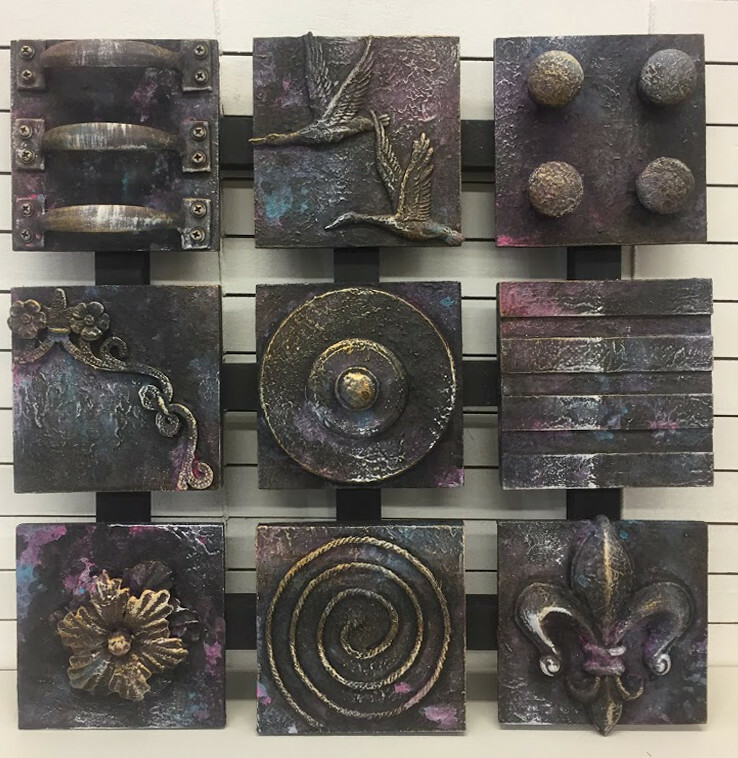 Let your creative spark shine when you assemble a set of 9 Art Blocks by adding embellishments from a selection of found objects and discarded junk. if you are starting out on your Mixed Media journey then this is a great place to start. once your embellishments are chosen, assembled and attached to your blocks then you are ready to add texture and colour. In this workshop we will experiment with a variety of textures, colour washes and paint finishes which you will learn to make using only our Passion for DIY chalk paint. Through these processes you will achieve balance and depth that will give your project a cohesive finish.This workshop is over 2 days and costs $65.00 all materials included.